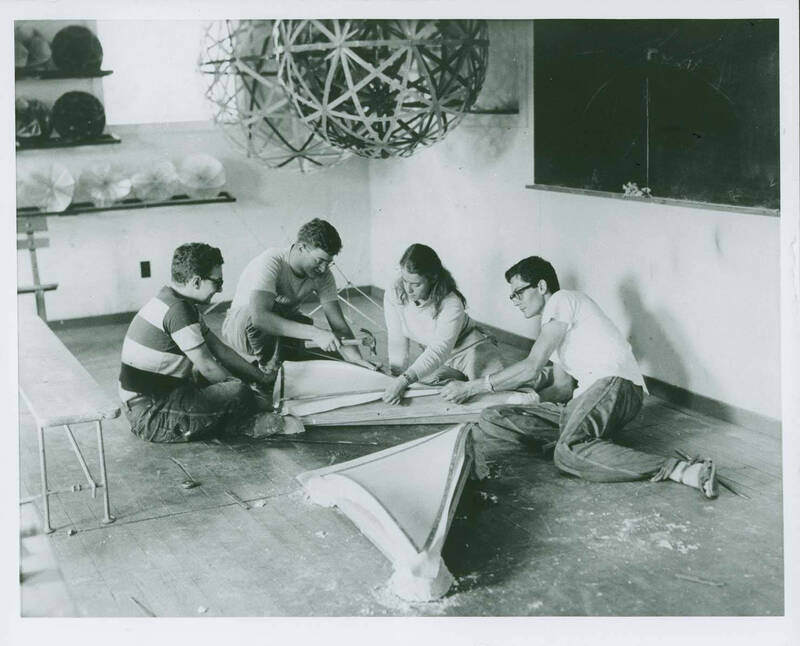 Buckminster Fuller’s Architecture class, 1949 Summer Institute, Black Mountain College. Note on the back of the photo states: “Architecture, construction of molds for precast forms for domes.” Left to right: unidentified student, Eugene Godfrey, Mary Jo Slick, unidentified student. Courtesy North Carolina Museum of Art. Western Regional Archives.